I was part of the Pillayar Nonbu team and we decided to create a photo address book for Nagarathars of Northern California. I had the opportunity to design the software to use for creating the book. 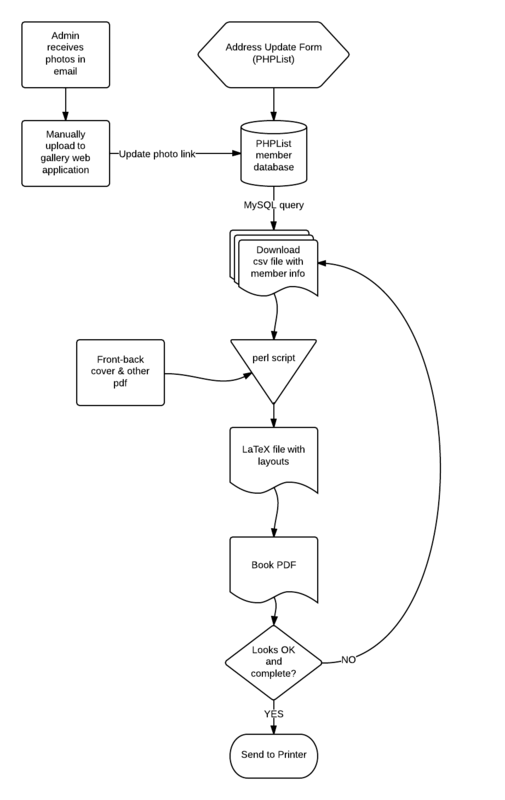 Here is the high-level design of the book creation process. We used phplist application to store the member information. Initial idea was to use phplist as the emailing application from the website. But that didn’t worked out very well. It worked very well as the member database since it has a good admin interface and custom attribute designer. We generate unique links for each member and send it to them to update it. We collected the member photos in email and uploaded to coppermine gallery. Coppermine gallery created photo web links for use in email or php applications if needed. We then updated the web link of family photo to member database. MySQL query was used to generate a csv file with all the information necessary for the book. Layout for photo book was discussed and designed. 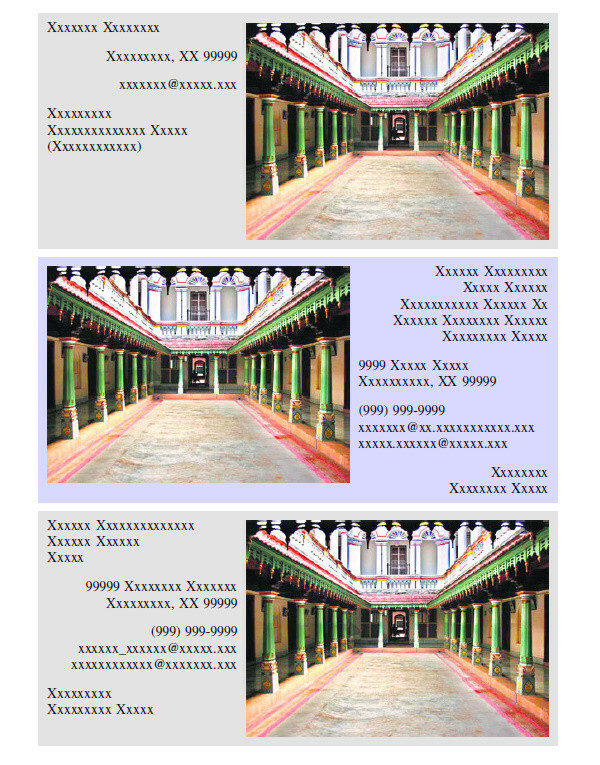 Then the layout was converted to LaTeX layout. There was a steep learning curve on learning LaTeX. Here is my research question at a LaTeX forum. A perl script generated LaTeX layout file from the given csv file. (Photos should be downloaded from gallery to hard-drive). Run pdflatex utility on LaTeX file. Merge with other pdf created for cover pages and inside pages. Review and iterate the process. If looks good send to printer. After much deliberation, we went with MGXCopy, an online printer at San Diego. They were the best for the price. Create a tab Separated Value or CSV file with all the member fields. CSV file will look like the one here. Using this perl script, generate a LaTeX (.tex) file. Generated .tex file will have all the member data in the desired lay-out. Sample lay-out image is displayed below. Run pdflatex utility on the generated tex file (genFile.tex). This will create a pdf with all the family info and photos. That can be reviewed for profile data. You have to create the front, back cover and other pdf separately and update the perl script with those pdf names. For example in the perl script there are many different pdf merged together – 51a_dec9.pdf, 53_dec9 and 52a_dec9. Review the pdf, then sent to printer. Copyright © 2013 Cthol.com. Powered by WordPress and A Dream to Host theme by Art of Blog.